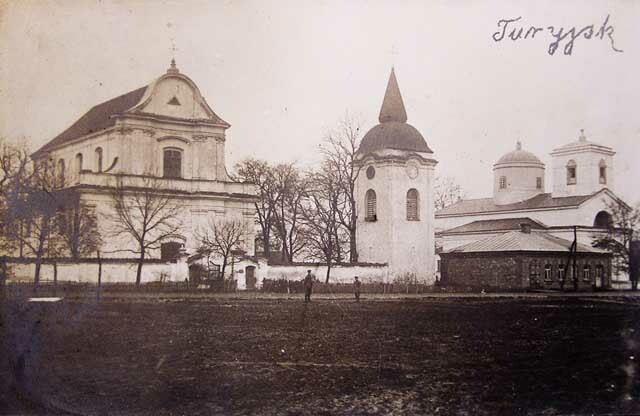 According to family tradition, Shloime Goos, the oldest child of Pesach and Chana Goos, left his home in the Ukrainian town of Turiysk in 1898 and immigrated to America. 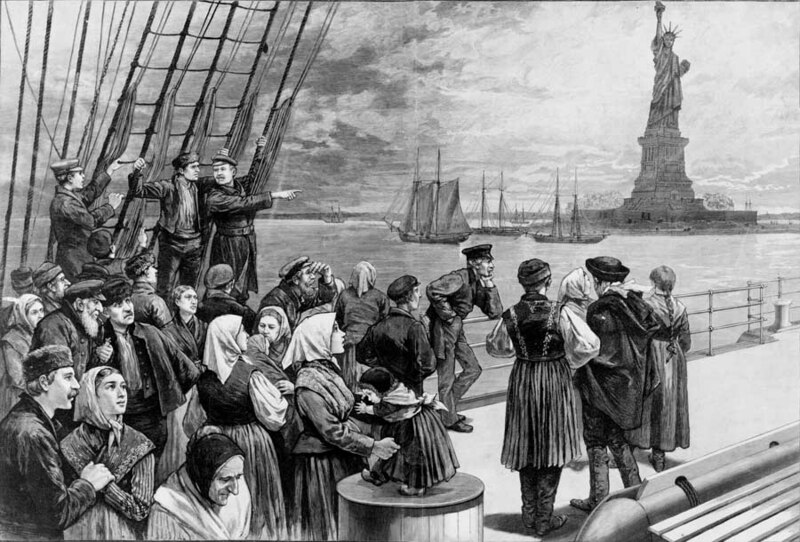 A mere 15 years of age, Shloime arrived at the Port of Boston, alone and destitute. He could not even afford the two-cent fare from the port to East Boston, so he walked. He soon settled in Chelsea, Massachusetts, and Americanized his name, calling himself Samuel (Sam) Gass. The young man in this photograph is probably Samuel Gass. Ship manifest showing Sam listed as Leb [sic] Guss. 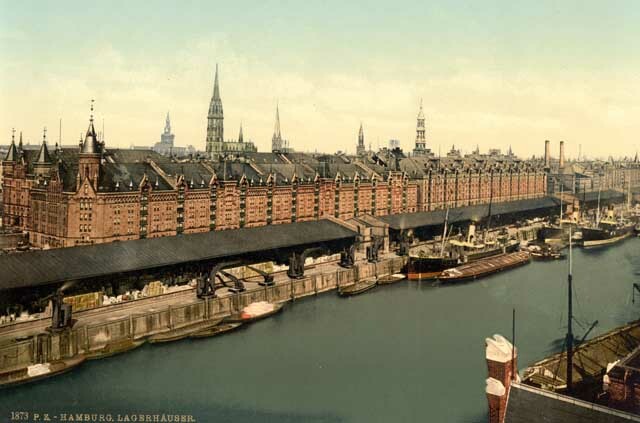 These colorized photographs were created between 1890 and 1900 and show the docks and warehouses in Hamburg, Germany, as Samuel Gass probably saw them. 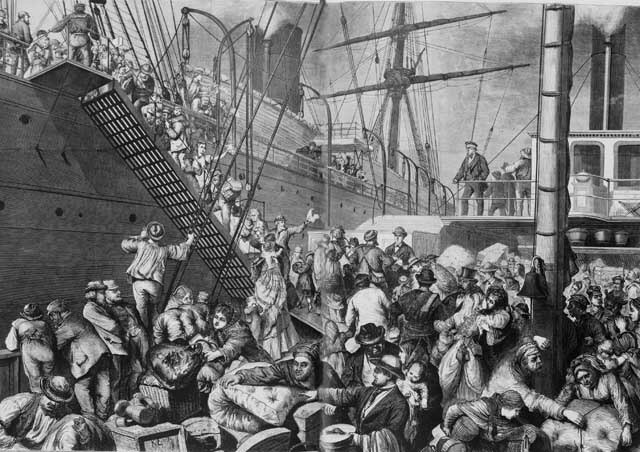 Wood engraving of German emigrants in Hamburg boarding a steamer bound for New York, 1874. The conditions were not much different when Samuel Gass sailed from the same port 29 years later. Credit: Illustration in Harper’s Weekly, 7 Nov 1874; pp. 916-917. Library of Congress, Prints and Photographs Division [reproduction number: LC-USZ62-100310]. 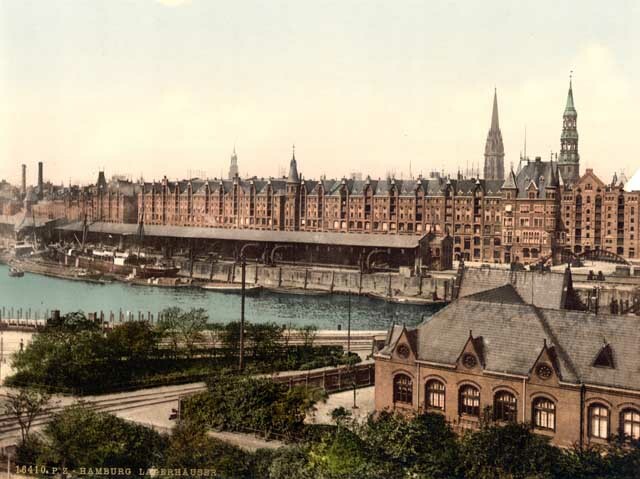 When Samuel Gass sailed out of Hamburg’s harbor in 1903, he probably saw masted ships similar to these. Credit: Detroit Publishing Company; Library of Congress, Prints and Photographs Division [reproduction number LC-DIG-ppmsca, no. 00420]. Created between 1890 and 1900. 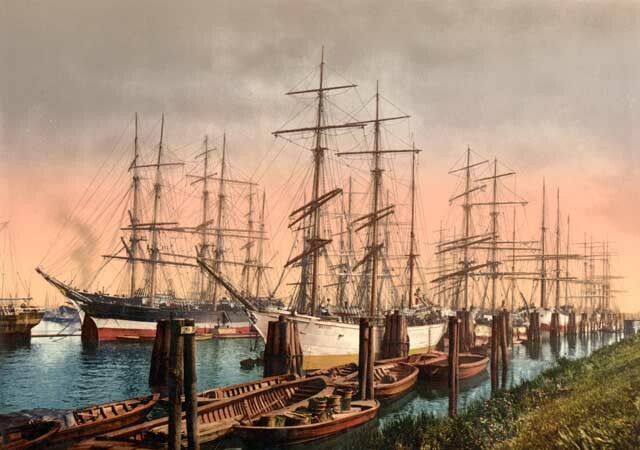 Samuel Gass’s voyage on the S.S. Batavia broke the record at that time for the greatest number of people carried into the port of New York on a single vessel at one time. 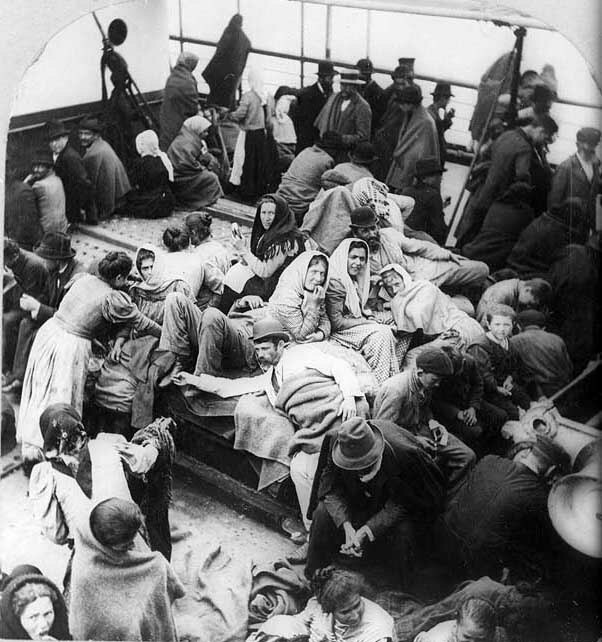 There were 2,584 passengers crowded aboard the ship, which docked on June 8, 1903. This vessel is not the Batavia. (It is the S.S. Patricia, photographed on December 10, 1906) but the image gives an idea of how densely packed the steerage deck of Sam’s ship must have been, and the Batavia’s manifest shows that Sam traveled in steerage. The Statue of Liberty was the first structure on American land that immigrants saw when their ship approached New York Harbor. It served as a beacon of hope. Credit: Left: Wood engraving published in Frank Leslie’s illustrated newspaper July 2, 1887, pp. 324-325. Library of Congress, Prints and Photographs Division [reproduction number LC-USZC2-1255]; right: ©1894 J.S. Johnston, N.Y. Library of Congress, Prints and Photographs Division [reproduction number LC-USZ62-40098]. On June 8, 1903, the skies over New York were stormy. So Samuel Gass probably did not get a clear view of the Statue of Liberty, and when he stepped ashore on Ellis Island he probably did so in the rain. Credit: ©1905 A. Loeffler. Library of Congress, Prints and Photographs Division [reproduction number LC-USZ62-37784]. 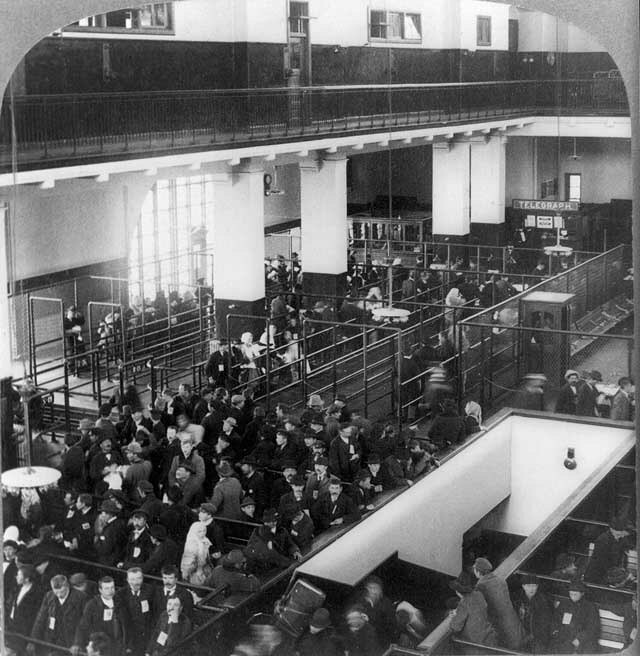 Ellis Island, served as a major immigrant admission station between 1892 and 1943. Each day, 3,000 to 5,000 people passed through its gates. 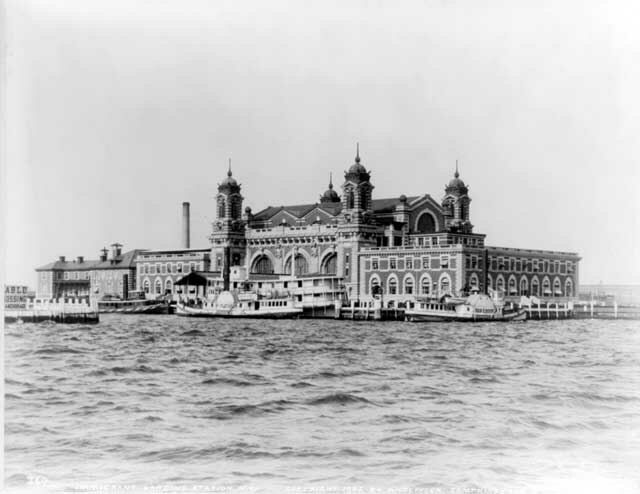 However, before Sam and the other passengers reached Ellis Island, their ship like other vessels from foreign countries arriving in the Port of New York, stopped at the Quarantine Station on Staten Island. 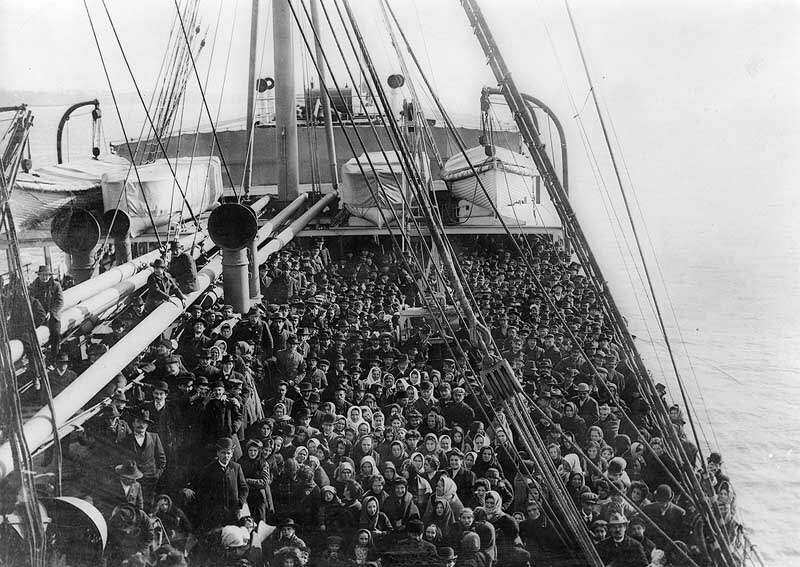 U.S. government inspectors boarded the ship and screened the immigrants for contagious diseases, such as smallpox, scarlet fever, and measles. 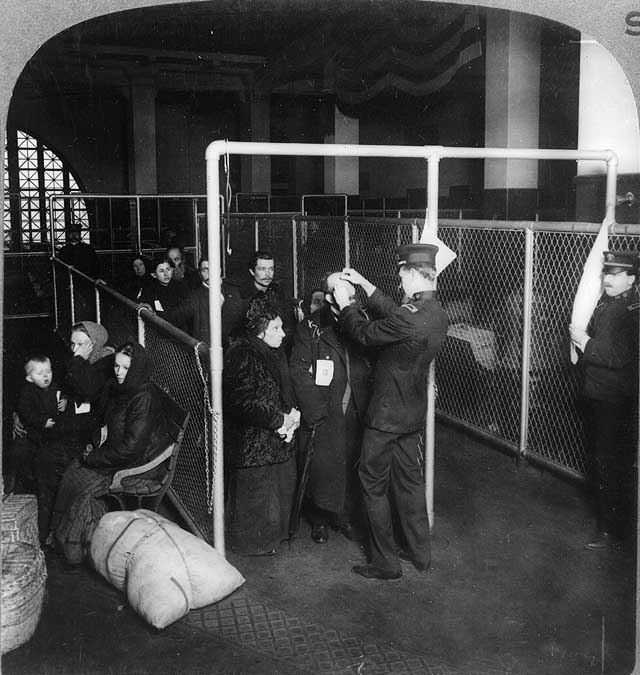 Those who failed this screening were either sent to a hospital for treatment or targeted for an intensive medical exam after disembarking at Ellis Island. Government inspectors boarded ships from foreign ports to identify passengers with infectious diseases. Credit: ©1902 William H. Rau. Library of Congress, Prints and Photographs Division [reproduction number LC-USZ62-7307]. 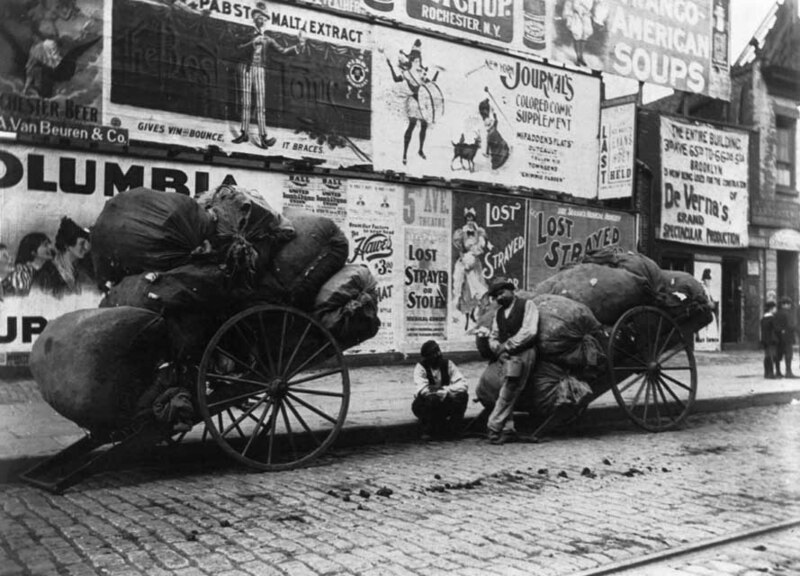 Barges transported immigrants from their steamship company’s dock to Ellis Island. 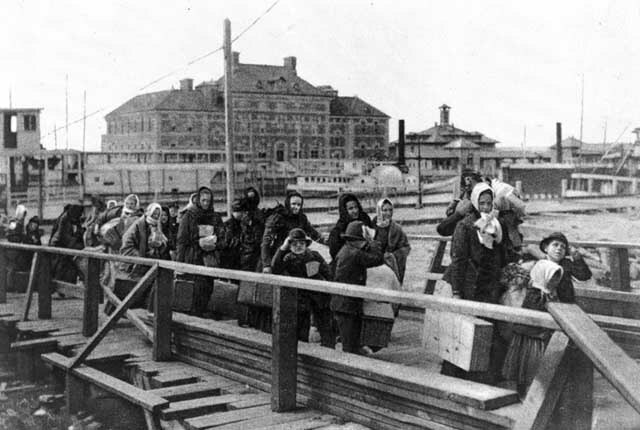 Immigrants then walked from the barges to the main building on Ellis Island. In the background is a hospital where ill passengers were dispatched. Credit: Created 1902 Unidentified photographer. Library of Congress, Prints and Photographs Division [reproduction number LC-USZ62-12595]. The immigrants checked their heaviest baggage and entered the registry room. They were then sent through a series of inspections where they were examined for physical and mental fitness, and their ability to work. Typically, this process took three to five hours. This great hall in the main building on Ellis Island was called the registry room. 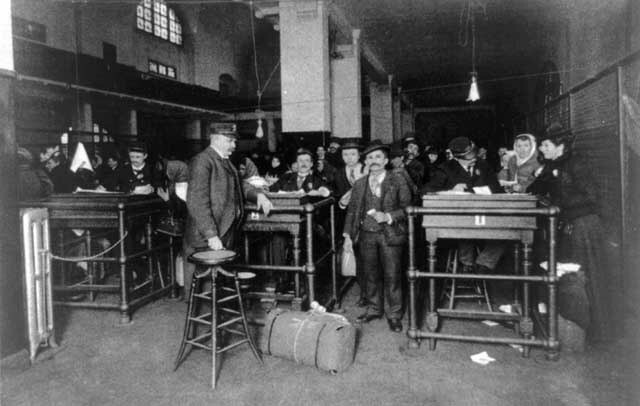 Here, the grueling processing procedure to gain admission to the United States began in earnest. Credit: © 1904 Underwood & Underwood. Library of Congress, Prints and Photographs Division [reproduction number LC-USZ62-15539]. The most dreaded inspection was the eye exam. An inspector rolled back the eyelids of each immigrant, looking for signs of trachoma. This contagious eye disease led to blindness when left untreated, and detection of it meant deportation. Credit: Left: ©1913 Underwood & Underwood. Library of Congress, Prints and Photographs Division [reproduction number LC-USZ62-7386]; right: ©1911 Unidentified photographer. Library of Congress, Prints and Photographs Division [reproduction number LC-USZ62-40103]. About 98 percent of the people passed the screening and were admitted to the United States. Of the people deemed unfit, some were marked for immediate deportation. Others were detained for a few days (or weeks) to see if their condition improved. 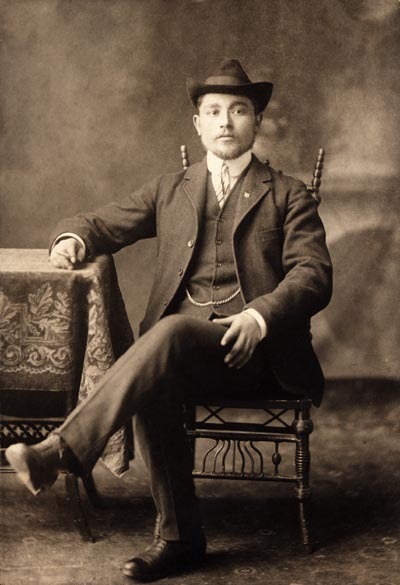 Sometimes families were torn apart when one member was denied admission to the United States. Children 12 and older were permitted to go back to the Old Country alone. A child under 12 had to be accompanied by an adult or teenager. 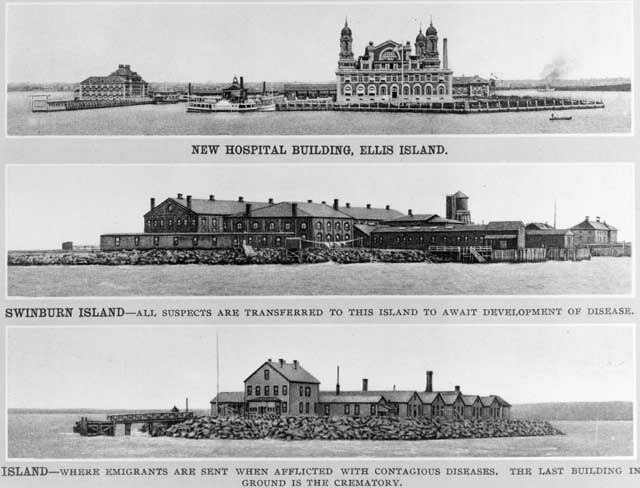 Additional buildings used by the U.S. government to quarantine immigrants with contagious diseases. Credit: Created 1902 Unidentified photographer. Library of Congress, Prints and Photographs Division [reproduction number LC-USZ62-116221]. People who passed the inspection process at Ellis Island were discharged here and were free to start their lives in America. Credit: Created 1902 Unidentified photographer. Library of Congress, Prints and Photographs Division [reproduction number LC-USZ62-93251]. Strong and healthy, Samuel Gass had no problems passing all the inspections. Shloime apparently traveled to America with a 36-year-old man from Turiysk, Leiser Reich (later known as Louis Rich). 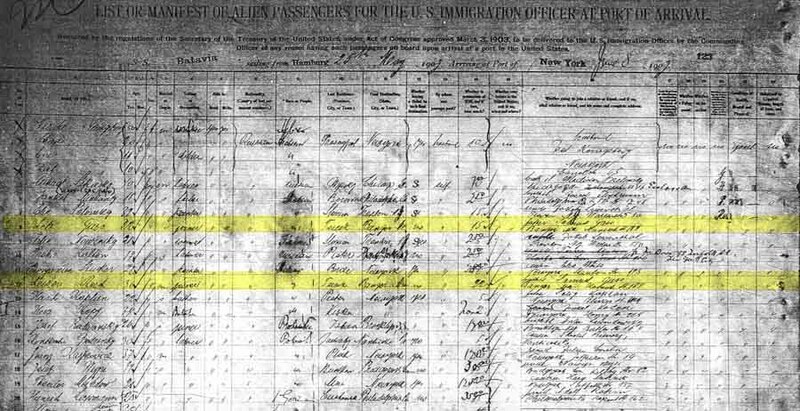 Shloime and Leiser’s names appear on the same passenger arrival manifest and Hamburg emigration list, and both men indicated on the passenger manifest that they planned to join Samuel Gass at 184 Hancock Street in Bangor, Maine. 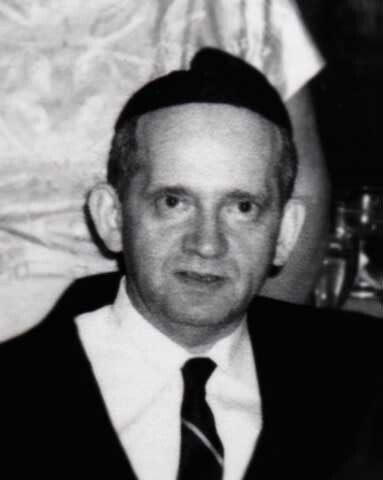 Shloime identified Samuel Gass as his father, and Leiser described him as his brother-in-law. But we know from family tradition that Shloime’s father, Pesach, never left the old country. What isn’t known is what Shloime’s true relationship was to this Samuel Gass in Maine. Was he a blood relative or just a landsmen (a person from the same place in the old country)? What also isn’t known is the relationship of Leiser Reich to Shloime and Samuel Gass. 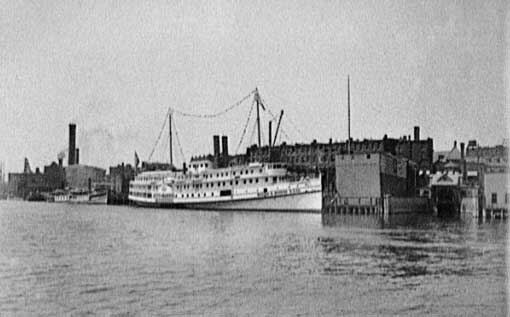 A steamboat owned by the Boston Bangor Steamship Company docked at the waterfront in Bangor, Maine, 1902. Could Samuel Gass have traveled on this steamship when he came to Bangor for the first time? Did he take it when he left Maine for Chelsea, Massachusetts?Credit: ©1902 Detroit Publishing Co. Library of Congress, Prints and Photographs Division [reproduction number LC-USZ62-11202]. 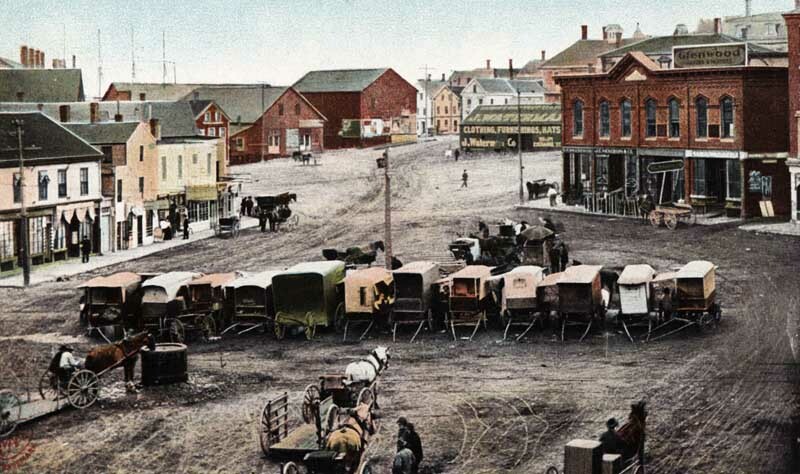 Haymarket Square, Bangor, Maine in the early 1900s. Shloime likely became familiar with this area when he went to Bangor. It is probable that Shloime traveled to Bangor, Maine, with Leiser Reich. At some point, (we don’t know how soon after) Shloime decided to settle in Chelsea, Massachusetts. His motivation for moving from Bangor is also unknown. Did Sam join landsmen or did he simply decide that Chelsea was a better place to seek his fortune? What kind of world did Samuel enter as a new arrival? Read about Chelsea, a city of opportunity. Hyman described the way the rag business worked. 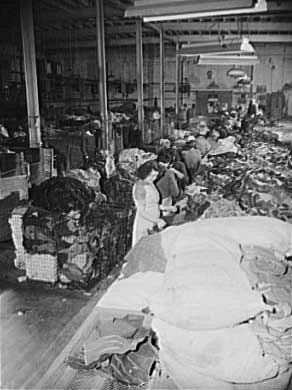 “The rags were sorted and graded by quality, color, texture, fiber content, and had to be separated from foreign materials. Sometimes the rags smelled and insects and rodents were a nuisance. 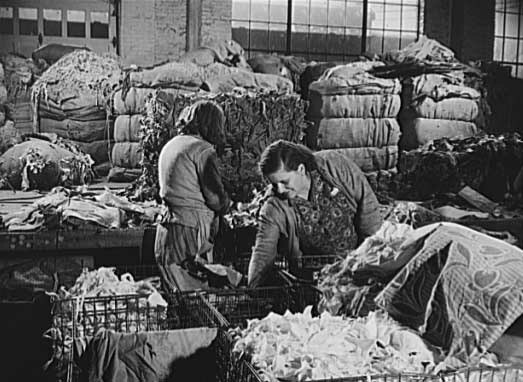 After the rags were categorized, they were bailed using a baling press, and held together with burlap and wire. 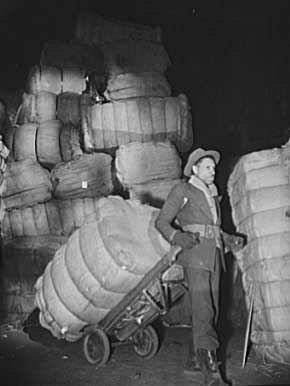 The bales were then sold to dealers, mills, exporters, importers, agents for manufacturers, other middlemen, and the government.